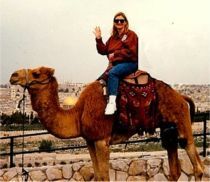 I love sharing about my travel experiences in the Holy Land on my Walk Where Jesus Walked tour because the Bible comes alive when you travel through Israel to places like the Garden of Gethsemane, the original steps of the Second Temple in Jerusalem, and even the Mount of the Beatitudes nestled next to the Sea of Galilee. Two things were very meaningful and enlightening about the footsteps of Jesus tour of Israel. 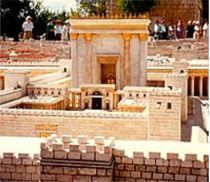 First, you see that the places mentioned in the Bible are real places, and second, you get a geographical context of the proximity of where events in the Bible took place in and around Jerusalem. 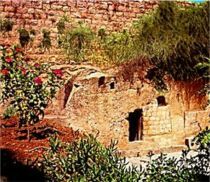 For example, the Garden of Gethsemane is probably no more than a fifteen to twenty minute walk from where the Temple steps in Jerusalem were located and so close to the city walls. 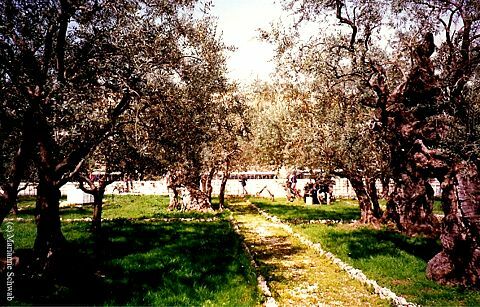 The Garden of Gethsemane is located on the Mount of Olives (and pictured above) in Jerusalem. It probably got its name because of the plethora of olive trees in this area. 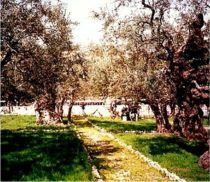 In fact, the olive trees in the Garden of Gethsemane today are over 2000 years old so it's under these very trees that Jesus would have spent his final moments in prayer before he was seized by the Roman soldiers. 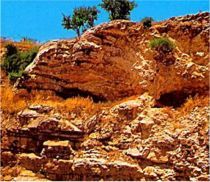 It's helpful to have the actual New Testament passage that refers to places of Biblical significance for those interested in spiritual tourism. 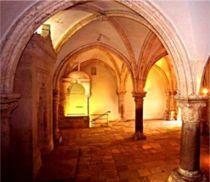 I think it's interesting that Luke mentions that Jesus went out "as usual" to the Mount of Olives because this indicated that this was a place that Jesus liked to hang out. This passage from Luke that describes the night in the Garden of Gethsemane was also was the opening scene in The Passion of the Christ. I found this clip on YouTube of footage shot at the actual Garden of Gethsemane and it's also a movie location vacation. 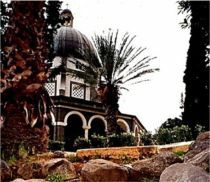 Of course, the scene the movie itself, was not shot in Jerusalem in the actual garden, or anywhere near it since The Passion of the Christ was filmed in Italy. 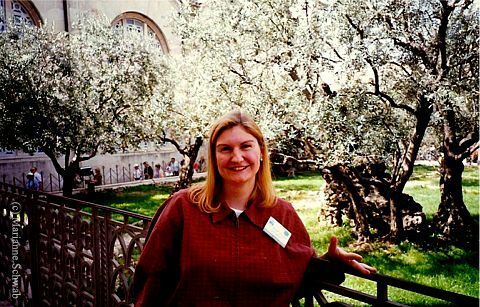 Looking at the photo of me standing in the Garden of Gethsemane doesn't give it justice as it's such a beautiful place. I can still remember that day vividly and how the air felt on that crisp April day. I still get excited thinking that I was there and I now connect with events in the Bible in a way I never dreamed possible. 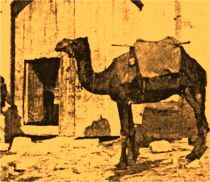 I hope that Israel is not something on the bottom of your bucket list as it once was for me. I'm so glad that I placed it at the top of places I wanted to visit as my short time there gave me so many memorable experiences that I think of every day of my life.